Hello, hello, hello! This post comes a little later in the day but sometimes life is just like that. I was recently sent samples of the following games for my kids to try out and I've also been authorized to offer some to you so stay tuned for information on the giveaway. Now, I guess you could say our family is a quasi-gaming family. My husband's family loves playing games and I do not. Our children are a blend of the both of us although they'd probably rather play games as not. 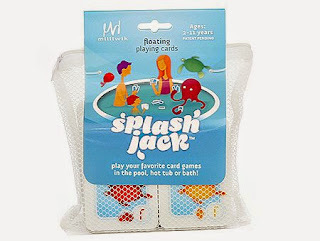 Splash Cards: Splash Jack is the most diverse grouping of cards. This deck features cards with both letters and numbers, illustrated with brightly colored ocean animals. Because of the multiple options for games provided by this deck of cards, it is Bookworm1's (age 7) favorite. You can play War, Rummy or Go Fish with this one. 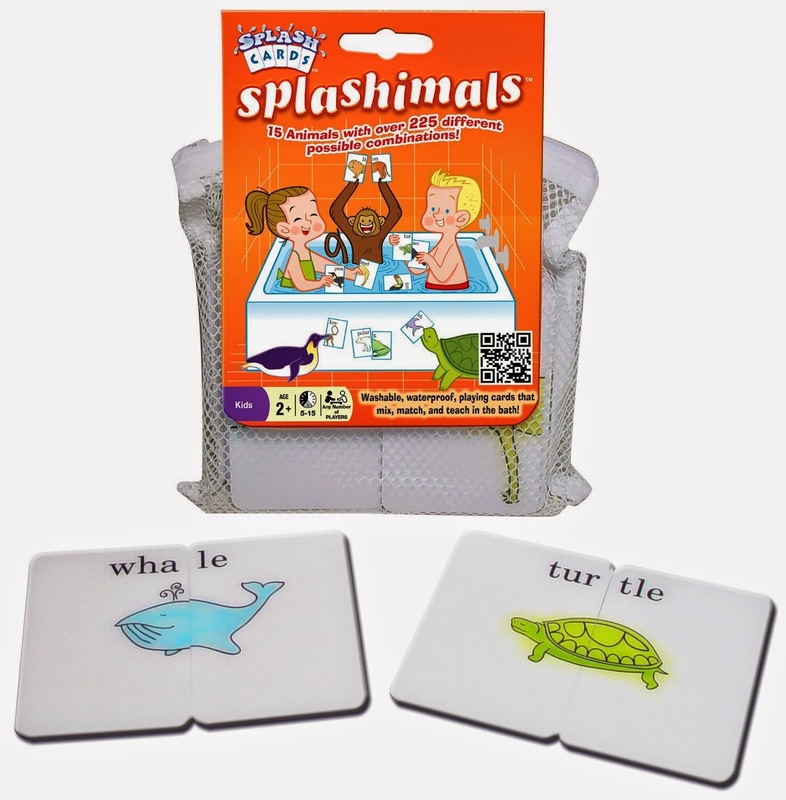 As is the case with each set of these splash cards, they all come in a netted bag with a zipper on the top for easy storage. The bag is pretty sturdy and provides a way for the cards to air out and dry off sufficiently. All of the cards are made of a lightweight material that feel very much like foam. However, unlike foam they do not tear very easily (I tried) and don't break apart leaving little foam pieces floating around in your tub or pool. The cards are bendable and, when wet, stick to surfaces. 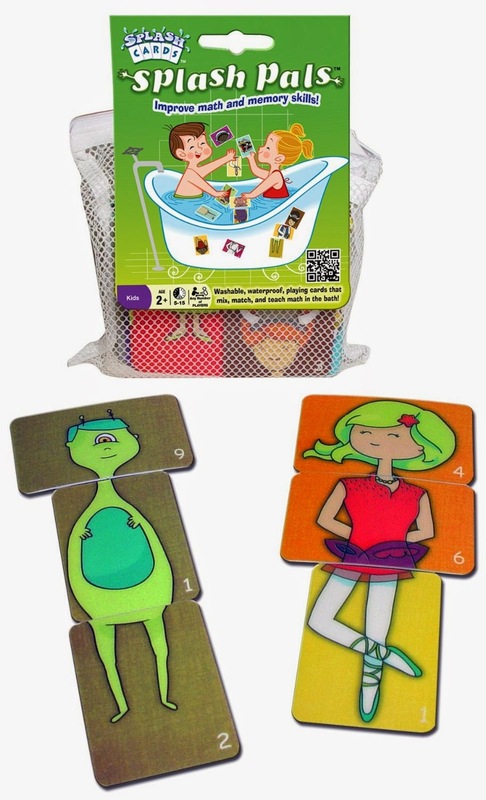 If your kids enjoy their bath time play, these cards will easily stick to the side of the tub. I passed this particular deck off to a friend of mine for her kids to play with because I thought her younger daughters would have more fun with this. My friend (and fellow mother) thought the concept of these cards rather unique and was just as intrigued as I was. Again, it's a really cool idea and, to be honest, if it extends bath time play a little bit further than I'm rather all for it. 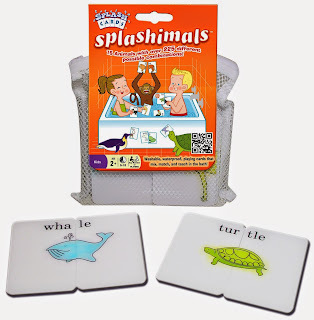 As far as the bathtub/swimming pool cards go, the last set we were sent was Splash Cards: Splashimals in which you are encouraged to match up animals (I bet you were surprised to hear that one...) and read their names. This deck is perfect for my youngest two at the present. My five year old reads the words and my two year old matches the animals together. This is a cute deck. When children are playing with any of the cards, you should be prepared to see the tub full of scattered items. This might cause a momentary panic on the part of the parent who is thinking about another mess to clean up. It's true you have to scoop the cards all up but, again, the storage bag is nice and handy and can be left in the bathtub or put away if you prefer. Furthermore, they are easy to wipe clean should the need to do so arise. If you are looking for fun tub toys or things for kids to play with in their summer wading pools, you might consider these. Next, we were also sent a copy of Touring Card Game . This game is the "first original car racing game" which first appeared on the scene in 1906. It was picked up by Parker Brothers in 1925 and is being re-released in updated, snazzy packaging by Winning Moves. It's a fairly quick moving game so long as you draw helpful cards. Bookworm2 and I soundly beat the rest of the family in this game, mostly by drawing useful cards which kept us very far in the lead. My husband and Bookworm1 were not as big of fans of this game but then . . . they lost. It's true though that this game is more my speed (har, har) as it allows for conversation to take place over the playing of it. The rules are easy to comprehend and you can keep the pace moving as you converse with your friends. I wouldn't say it's a "gamer's game" but it's fun for family play and for a game night with friends. I have a copy of EACH of these games to give away to one of you. Care to win four new games for you and your family to play (with)? Simply leave a comment below. This contest is open to U.S. residents only and will be open through this coming Monday, April 7th. 2. Share this on Facebook (leave an extra comment. THIS CONTEST IS NOW CLOSED. THE WINNER, as selected by random.org, IS #2 - Texas Rainbow! CONGRATS! And many thanks to Winning Moves who sent copies of these games my direction in order to facilitate this review. I received no additional compensation and all opinions are my own. I'm kind of skeptical of a card game in the tub, however I can see the boys LOVING such a thing. I shared this on fb, too. Our family loves games. Thanks for the giveaway! 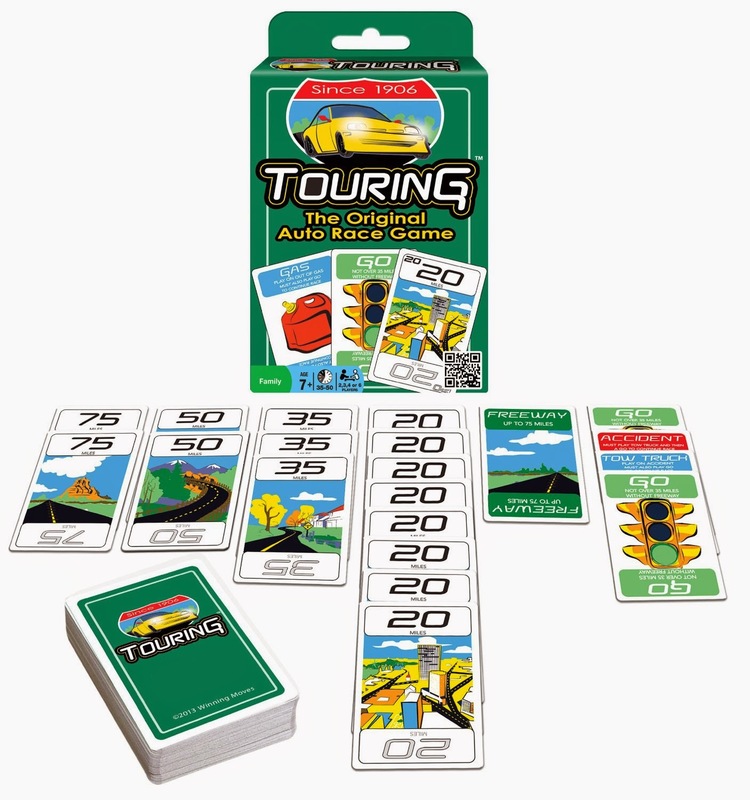 Touring looks like a game called Mille Bornes which I remember playing as a kid. We love games- thanks for the giveaway!! My kids love card games - these look like fun!